This is the untold natural and cultural history of nature's finest invention. Feathers are quite an evolutionary marvel: aerodynamic, insulating, beguiling. Their story begins in the Jurassic and leads through the development of flight to high fashion. Yet, their story has never been fully told. In "Feathers", biologist Thor Hanson tells a sweeping natural history of feathers, as they've been used to fly, protect, attract, and adorn through time and place. Applying the research of paleontologists, ornithologists, biologists, engineers, and even art historians, Hanson asks: What are feathers? How did they evolve? What do they mean to us? Engineers call feathers the most efficient insulating material ever discovered. They've inspired legends and literature, from Icarus to Shakespeare. They've linked documents from the Constitution to the novels of Jane Austen. They've decorated queens, jesters, plague doctors, Aztec priests, and the fabled birds of paradise. They silence the flight of owls, give shimmer to hummingbirds, and keep penguins dry below the ice. They are at the root of biology's most enduring debate. 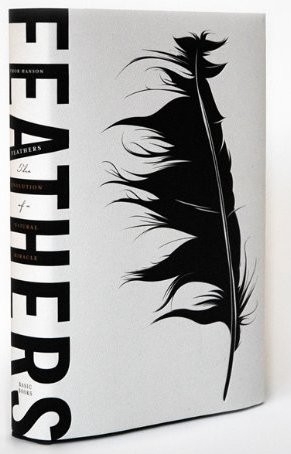 It goes without saying, the importance and intrigue of feathers is patent. Informed by Hanson's own field experiences from Africa to Antarctica, "Feathers" deftly traces a history of evolution, fluff, flight, fancy, and function. A captivating and beautifully-written exploration of the human fascination with feathers, this book transports readers from mythical associations with the divine to the height of modern-day science and technology.